January. The month that’s usually known for post-Christmas blues, dark mornings and frosty weather, diets and gym memberships for those New Year’s resolutions and of course – counting down the days until your bank account looks a little healthier. Well, you don’t have to feel down in the dumps any longer – Peacocks is the perfect place to carry out some serious retail therapy, without emptying your purse. We’ve handpicked a fantastic selection of men’s and women’s clothing trends in our huge 2019 sale so you can look great and feel even better. Keep reading to find out more! Your Christmas jumper may be tucked away at the back of your closet for another year, but knitwear is still a must-have to combat the chilly winter weather that us Brits are blessed with. If you’re looking for a fresh newbie to add your cosy collection, a jumper is an essential. From super-chunky wool to textured knits; once you’ve found the style for you, you’ll never want to take it off! 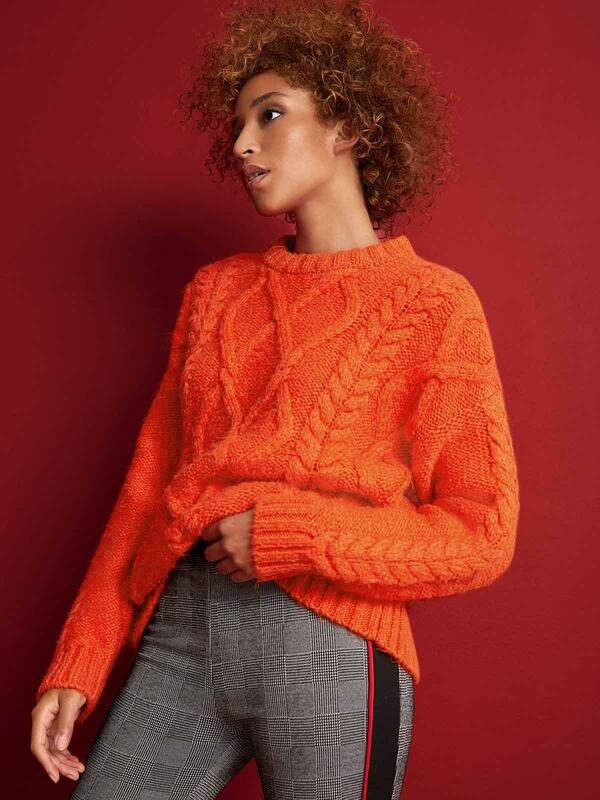 Perfect for chilled out catch-ups and shopping trips with your bestie, a bold colour will add a ray of sunshine to a slightly dreary month – you definitely won’t get lost with this vibrant orange jumper! Try pairing it with your go-to denim jeans and a pair of ankle boots for a relaxed vibe. We’re not stopping at tangerine – go bold or go home is our motto! A ribbed knit in a cowl-neck style is perfect for layering and offers a fresh texture to your look. Pair with some muted, navy jeans and trainers for a cool, everyday feel – plus, the hot pink will definitely make your reflection wink! Need to leave the warm cocoon of your bed and brave the cold conditions outside? We understand the struggle! But it doesn’t have to be a chore; a high-quality coat for a bargain price makes it totally worthwhile. 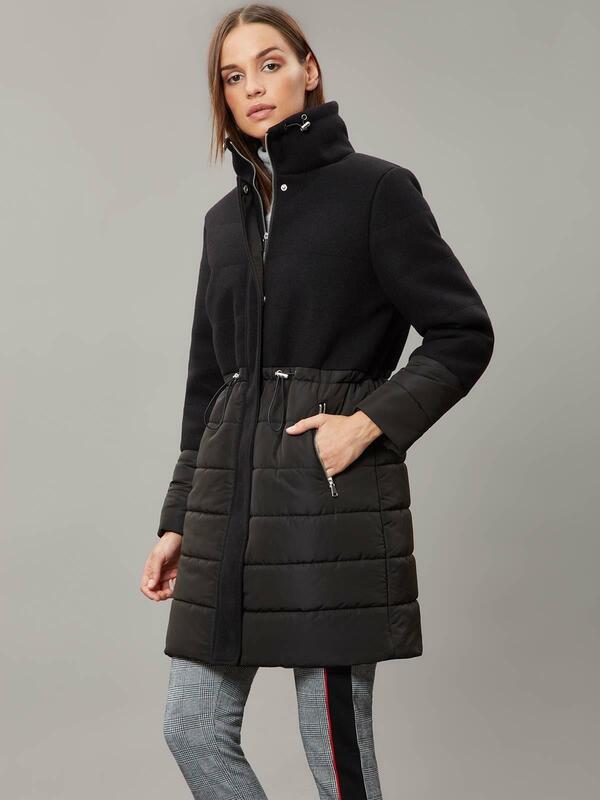 Whether you’re nipping into town for your favourite seasonal latté or giving your dog some freedom with a country walk, keep the chill at bay with this women’s padded, funnel-neck coat. Throw on some comfy trainers and stretchy trousers for practical style. Fancy watching football with some of the lads? 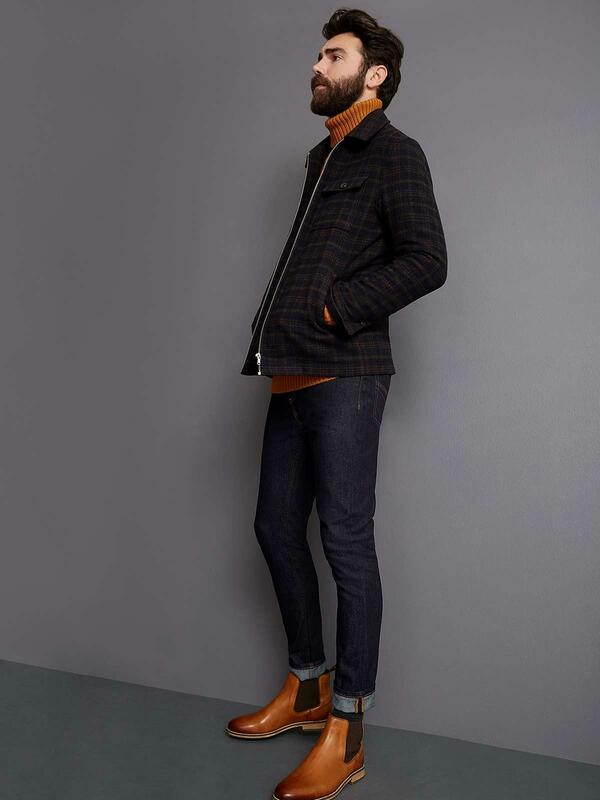 One of our top picks for men is this shirt-style jacket in a soft, brown checked fabric. Pair this bad boy with a long-sleeved top and trainers for a casual look, or add some spice and sophistication with a shirt and lace-up boots. Whatever vibe you’re going for, you’ll be best-dressed for sure. If you’re sticking to ‘Dry January’ like superglue (first of all, good for you! ), putting on your glad rags and going out on the town may seem like an almost impossible task. But with delicious, non-alcoholic drinks available basically everywhere these days, it’s a piece of cake – plus, your body will thank you later! A new outfit is the perfect little pick-me-up after Christmas and New Year antics, but you’ll still need to pay for taxis on your next night out. This delicate women’s blouse oozes elegance and it’s just £12 in our sale; throw on some leather-look leggings and metallic boots for the ultimate January glam. A long-sleeved shirt buttoned to the top is ideal for taking any look from relaxed to smart. 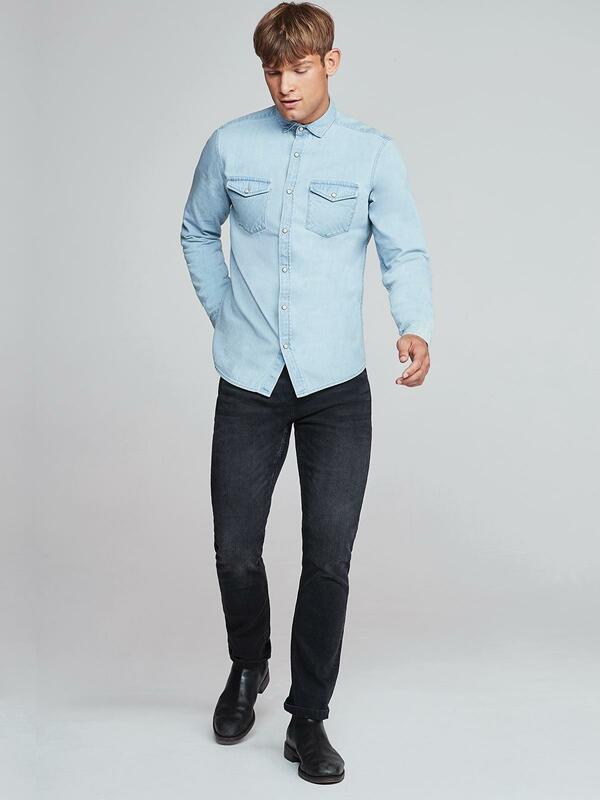 Try out this sharp, men’s denim shirt – pair with some black skinny jeans and throw on a bomber jacket for edgy sophistication. Want to stay bang on trend? Layering clothes of different tones and textures is a timeless technique that crops up again and again on the runways. Get in on the act by layering a poncho (this funky slogan design is one of our faves) on top of a bold roll neck and finishing with a waist-cinching belt for a flattering silouhette. You’ll stay extra warm too – bonus! Want to take your duvet with you? No matter what the occasion, a long, padded coat is easy to pair with any outfit, whether you’re looking for a little extra cosiness or you want to make a wintry fashion statement. This puffer is a must-own – pair with a chunky jumper underneath and you’re prepared to battle the elements. Check out our fantastic selection of sale clothing for men and women at Peacocks – your bank account will definitely thank you this January! Take a picture of your new bargain look and tag us on Instagram @peacocks_fashion for a chance to be featured on our page.